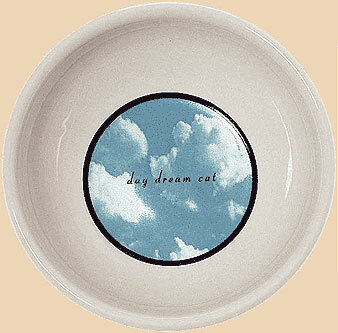 The words ‘daydream cat’ are superimposed over a floating sea of clouds, a soothing scene that shimmers beneath the water or is revealed at the end of a tasty meal. Glazed ivory porcelain is dishwasher safe. 6″ across and 2″ deep.